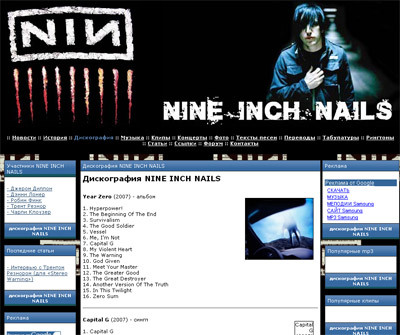 NINE INCH NAILS fansite. 100% width layout, design cutting and HTML/CSS coding made by us. Website is developed on ASBand CMS. You can add news, articles, lyrics, discography. Personal website for journalist Oleg Sultanov (www.sultanov.org). Design creation and Joomla template development.